This is my most recent published work! Elemental Princess was written for my ten yr. old niece and entered into a contest that took second place. 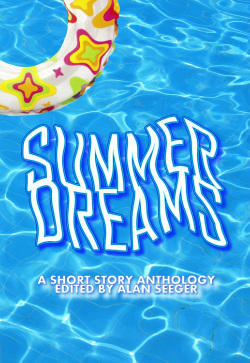 It was published, along with the other winners of the contest, in this anthology, now available for purchase! Four authors, using a famous first line from a classic novel, weave their own tales. Summer. It's the time when we take vacations, go swimming, and generally veg out. Many people like to find some light summer reading for the long, lazy, hazy, crazy days of summer. If that's you, you've come to the right place. This collection offers up fifteen stories by a dozen authors. Some are brief, and some are pleasant. Others are lengthy, and a couple of them are downright disturbing. They're all going to stay with you for a while. Contains stories by: Lynne Cantwell, Deborah Carney, Alesha Cary, Shawn Inmon, Chris James, M.M. Roethig, Carla Sarett, Alan Seeger, Tabitha Ormiston-Smith, Catherine L. Vickers, Ashton-Kate Wilson and Diana Xarissa.